So good to see New Orleans listed on a Cure tour t-shirt again! Been way too long. Thanks to Olivier at It's A Perfect Day for the photo. From Olivier on Facebook: "More t-shirts. The set of badges are leftovers from the previous tour: they still state "The Great Circle Tour" whereas the t-shirts don't." What does 2 13 mean? It's 2013. 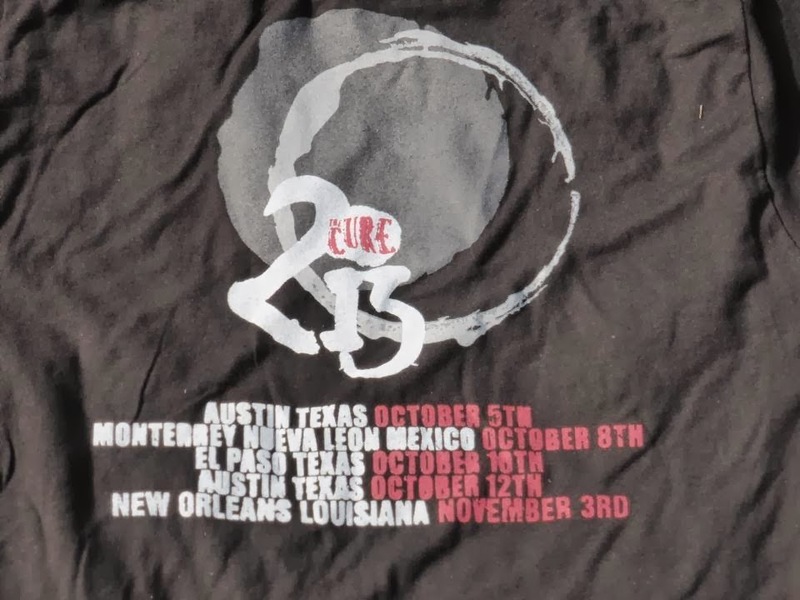 The Cure logo is in the 0. Can someone help on this last part NorthAm 2013 tour to buy me the set of badges (and grab a few free Cure stuff around), please? "NUEVA LEON" is incorrect, should be "NUEVO LEON"